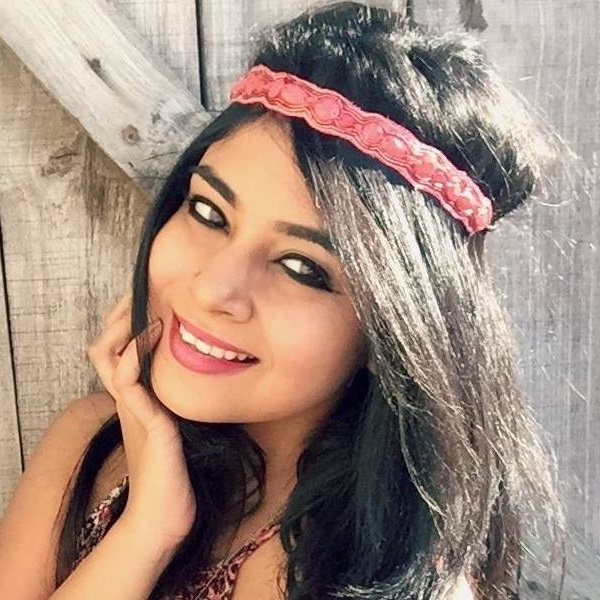 12 AMAZING Bath Sets For The Bride To Be - Pamper Yourself! 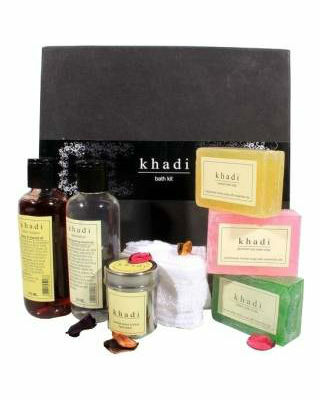 Also Read 10 AWESOME Birthday Gifts For Bride-to-be I’ve personally used Khadi products and I love it! It’s not only affordable, but the quality too is excellent. 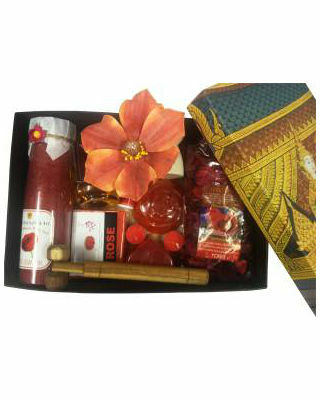 This particular kit includes a sandalwood face pack, bath oil, a small towel, honey shampoo, rose water, a chandan haldi soap and a neem tulsi soap. It’s perfect for a bride who wants to pamper herself. I’m a huge fan of Forest Essentials products as well! The fragrance is delicious and the scent is long-lasting. 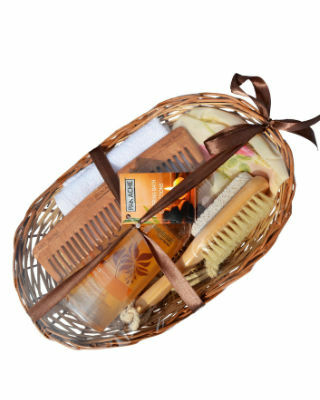 This particular bathing kit includes a body mist, shower oil, body lotion, perfume and body butter. It’s a product hamper totally worth investing in. 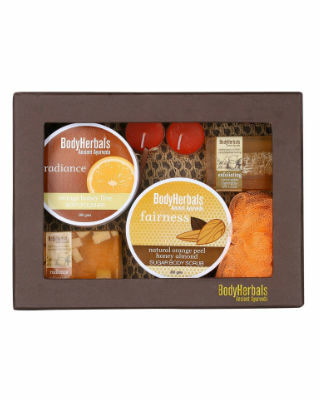 This almond bathing set will not only nourish your skin, but will also leave it deliciously scented. It will make your skin feel smoother, more firm and hydrated for up to 48 hours. The cute travel pouch includes an almond shower gel, supple skin oil, body cream, hand scrub and a bar of almond soap. You don’t need to visit a spa in Japan if you have these babies by your side. This particular set comes with a cherry blossom fragrance mist, a shower gel, body lotion, body cream and a pretty white loofah. Now, you can always smell like a dream! Price: Rs 3,999. Buy it here Featured Image: Shutterstock A place where girls can talk about ANYTHING. (No guys allowed!) ? ? Get the POPxo app NOW on Play Store and iOS App Store.